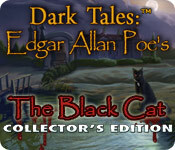 Dark Tales: Edgar Allan Poe's The Black Cat Collector's Edition is rated 4.4 out of 5 by 28. Rated 5 out of 5 by J9CT from This Game Is Not About A Black Cat!!!! I'm a cat lover so would not have minded though. Once again another excellent Dark Tales game. Scenes, music and mood is creepy and so is the mansion. I didn't mind getting my clues from the strategy guide when I got stuck instead of just hitting the hint button all the time. Another must-have game that can be replayed over the years with the Premature Burial. Rated 5 out of 5 by Riverboatlucy from Loved it! This game based on Poe's novel will keep you guessing right up to the end. You have the clues and you have your suspicions but finding the proof ? Rated 5 out of 5 by smoovasbutter from One of the better Poe games ERS did a good job with this game. Good graphics and music. Nice story which combines Black Cat with Poe's other story, The Cask of Amontillado. Puzzles and minigames are fine. One of the better games in the Dark Tales series. Rated 5 out of 5 by rjester from I love these! One of my favourite series, these are true to Poe in their creepiness and subtleness. The artwork fits and the gloomy atmosphere is well-suited for the plot. I cant complain. Its simple but beautiful in its simplicity. The Poe series never disappoints. 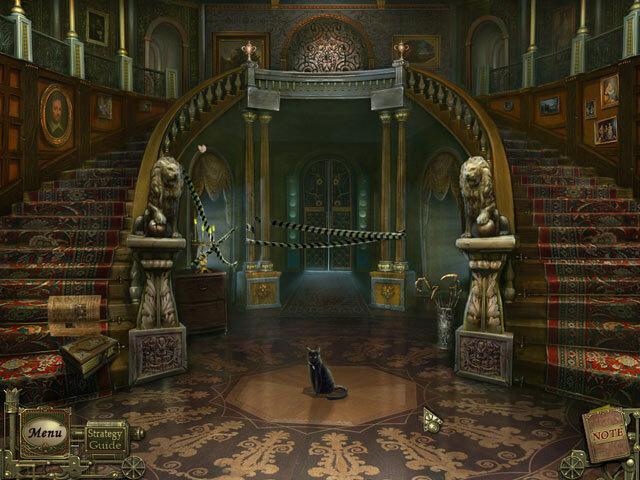 Rated 5 out of 5 by pennmom36 from Dark Tales: Edgar Allen Poe's The Black Cat CE Poe wrote some creepy stories that's for sure, and this game would have made him proud. Mark Davies has reported his wife Sarah, missing for nearly two weeks and Detective Dupin has asked for your assistance once again. People around town are beginning to believe that this is either a hoax or a haunting because people have actually seen Sarah walking the streets with her beloved black cat (more like creepy with that single red eye!) but when approached, Sarah simply vanishes into thin air! You would normally brush that off to superstition if you hadn't seen Sarah holding her cat by the window with your very own eyes, this case is going to require all of your detective skills. I do have a few gripes with the mechanics of this game, mainly in the fact that there is no hint button other than in a hidden object scene, and the strategy guide (and Collectors Edition extras) is only available if you purchase the game. Personally, I want to see what goodies are inside before I buy. There are no voiceovers, you will have to read a lot of dialog boxes, and they sometimes get frustrating when you click on an item and the dialog box pops up directly on top of the item you are trying to figure out what to do with, and you have to click the continue button or click out of the zoomed in area and return to the area. Other than that this is a fantastic story, I loved the graphics and the characters are very well drawn. The soundtracks are creepy and pleasant all rolled into one! 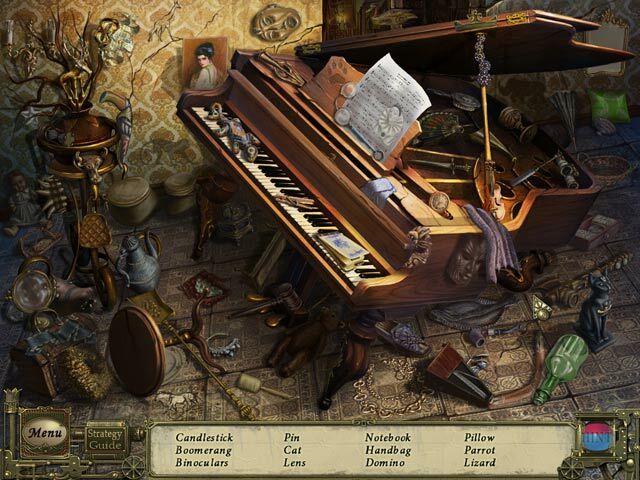 The Hidden Object Scenes are slightly interactive list finds requiring you to click to open drawers or doors to expose more items. The mini games are fun, not frustrating and each scene has several areas of interest with many items combining before being able to use them such as using a string to tie a razor onto a stick so that you can cut the guard dog's leash from a safe distance. I won't say this is an easy game, there were a few things that even I got stumped on, but most of the game is logical meaning the solutions are usually solvable with uncomplicated solutions. The Collectors Edition has wallpapers and soundtracks available as well as a Strategy guide (not available on demo) and of course a bonus chapter. I think the strategy guide in the collectors edition is a wise choice due to the lack of a hint or directional button, but I plan on checking out the Standard Edition next, enjoy! Rated 5 out of 5 by Takara_Soong from Love this series The Dark Tales series is my favourite hidden object series so far. I live the story, the graphics and the challenge level was great. 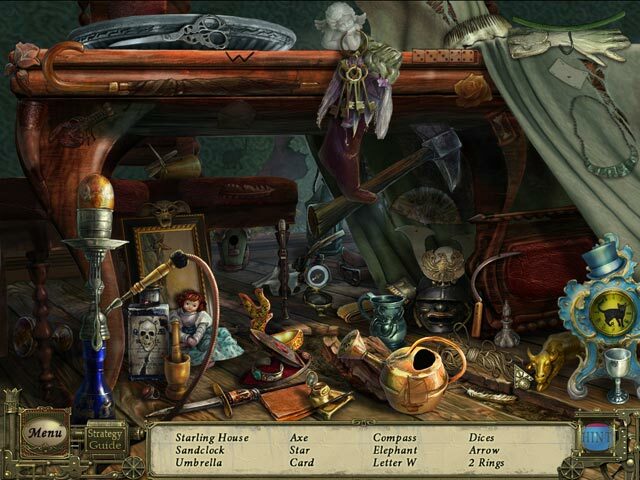 Rated 5 out of 5 by RVKittykat from Hidden Object Game I love this game and play it every few months. I never tire of it. The scenes are beautifully done. The story moves along nicely and I never get bored playing it. There are HO scenes and things to find and do. This game, in my opinion, is a real keeper. Anyone who may think this is a story about a cat is mistaken. The cat is a small part of the story. The bonus match 3 games at at the end can keep me amused for an hour or more at a time. Rated 5 out of 5 by laurakay76 from Creepy! This is the second of the Dark Tales from ERS, and brilliantly handled. Once again you're partnered with the dashing Detective Dupin to solve a mystery inspired by Poe's stories. This time, the adventure takes you to a contraption-filled mansion that was once home to an illusionist, and currently belongs to a man named Mark Davies. Monsieur Davies' wife Sarah is missing, and he hires the pair of you to solve the disappearance. But all is not as it seems, because a mysterious black cat keeps appearing... and so does Sarah. Lots of genuinely scary moments in here, but all in good fun. I loved the mansion where the game takes place. The music enhances the atmosphere without being overwhelming, and the bonus chapter makes everything that much more deliciously creepy as you learn what caused everything to go horribly wrong. Great job, ERS! Rated 5 out of 5 by neilskinut from good not great ERS has good games. I enjoy more hunting for clues than mostly HO and puzzles. Worth the money. All the dark tales are good.